1. Talk me through the initial process of your book, where and who inspired you to write it? ‘The Empowered Entrepreneur’ as it is now has been inspired by my clients and my work over the last 18 years or so. What I noticed was the joy of being taken out of work. People losing motivation, inspiration and connection to their work, or their businesses completely taking over, to the detriment of a healthy, thriving life. The book is a way to respond to that and hopefully offer a different perspective. So it hasn’t been a single event or person. When I think about it, I’ve probably been writing it in different guises for about 10 years. Playing around with different themes and topics that were relevant to what was happening in my work at the time. At one point it was going to be an authentic networking book, back in the days before social media and we were all networking face to face. I may still write that, but it’s not as timely now as it would have been then. 2. Who’s the book for and why do you think it’s important to feel empowered? 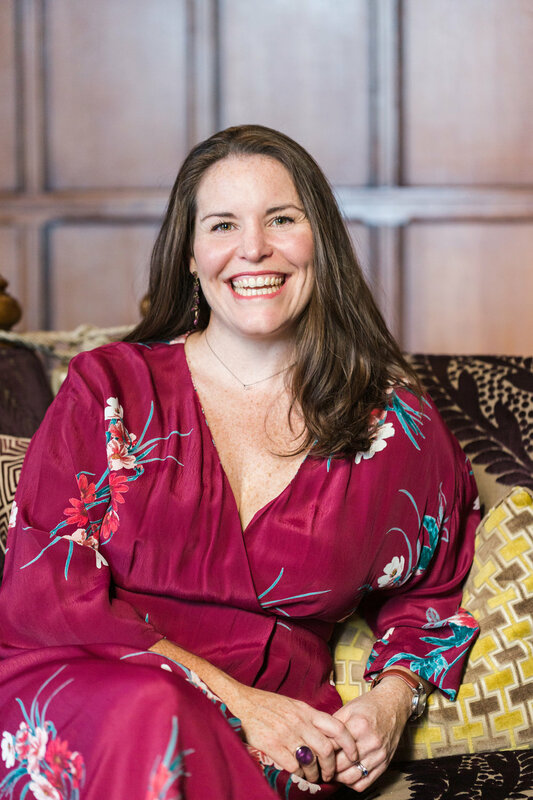 The book is primarily written for creative, driven and busy small business owners and entrepreneurs but in reality, I think the messages are relevant for all of us, whether we are running a business or not. The emphasis is on the deeper questions in life, how to connect with what’s important and how to thrive wherever we are. When I look at people who have overcome great struggles in life or tough challenges in business there is an agency about them, a sense of confidence and control that enables them to weather any external circumstance with grace and certainty, that is empowerment. We all want to feel better about things differently and when we are empowered it doesn’t matter what’s happening on the outside we have the ability to respond more consciously. We have a choice and freedom. 3. 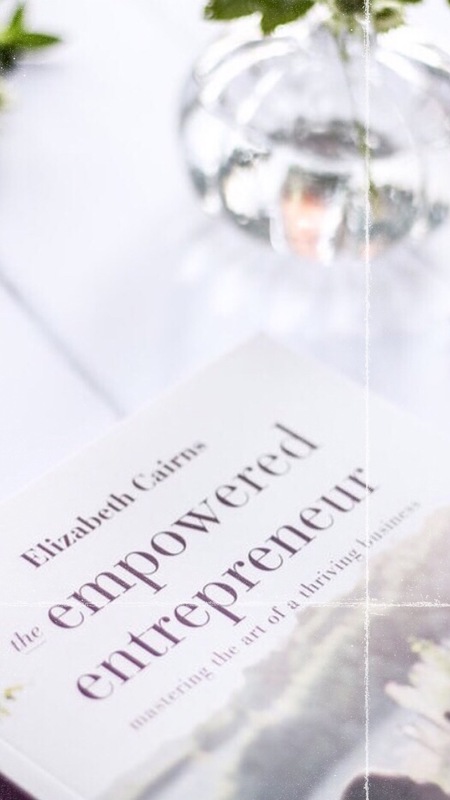 I know we’re discussing the book here, but I am intrigued by your ‘EmpoweredEntrepreneur Retreat’, can you tell me about it and how the retreat ties in with I’ve probably? Yes of course, I have two retreats planned for this year. The first one Vision and Vitality is on 19th and 20th March in the Cotswolds and I’ll be running a longer one in the autumn. 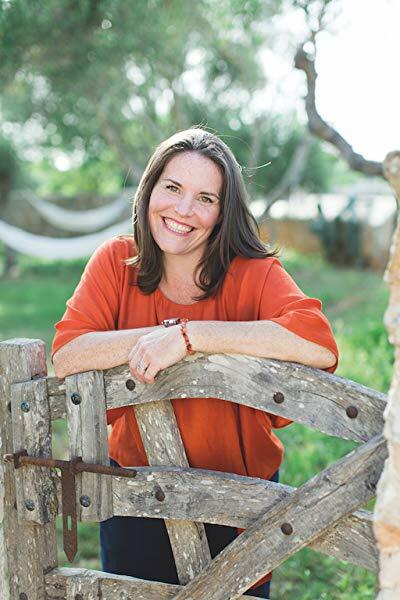 In the nearly 20 years I’ve been facilitating retreats I’ve found them to be one of the best ways to make powerful and lasting transformation in a very short space of time and they are a way to access and embody the principles and ways of living and working that I speak about in the book. Authentic connection to ourselves, to others and to nature are at the core of the retreats which are key to empowered living. 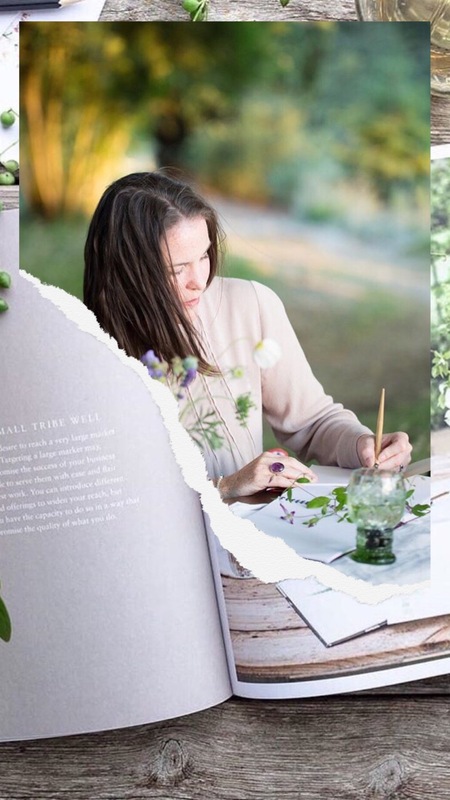 A retreat by its very nature also provides space for the creative process and for thinking, planning and dreaming, which I talk about a lot throughout the book. 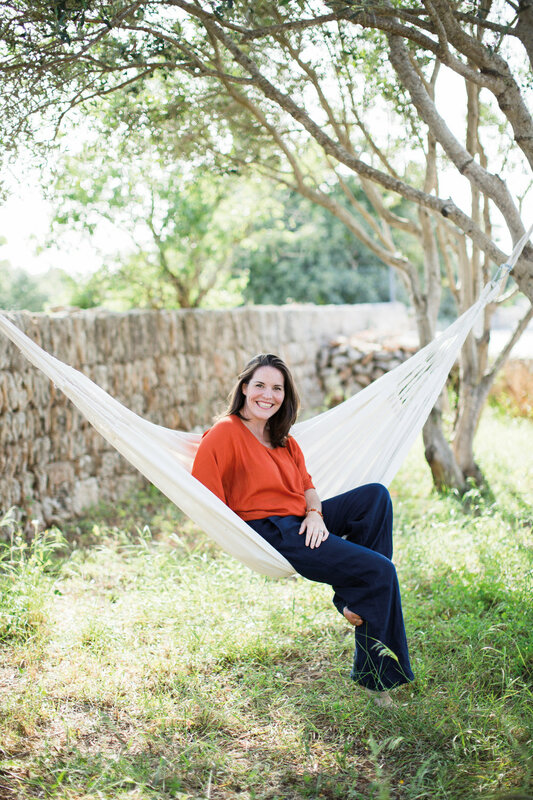 An Empowered Entrepreneur Retreat enables you to gain perspective from taking time away from your usual environment and, with careful guidance, to see things through a different lens. They are an opportunity to work very deeply, with it still feeling easy and light-hearted. 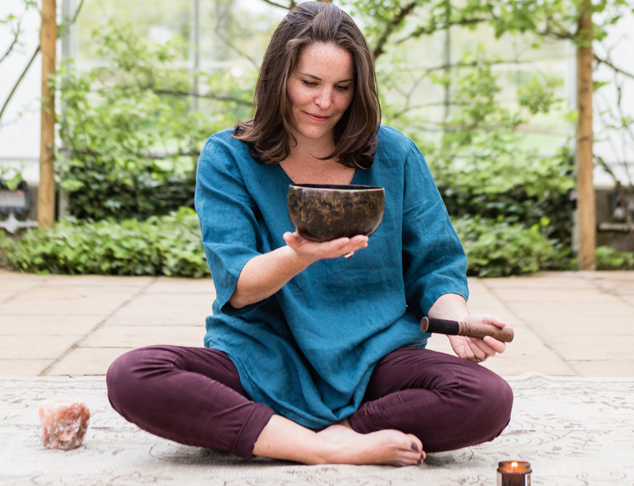 As well as plenty of space there is also nourishment and nurtured by way of delicious food and yoga, meditation, mindfulness and time to be in nature which isn’t always possible in a focused workshop. Retreats create community and strong bonds as you get to know people very well in a short space of time and the chance to eat together and play together whilst developing yourself personally. With my retreats, I take the key themes of empowered entrepreneurship to the next level and explore how that translates to everyday life. Clarity of vision and working in a way that raises and sustains our vitality, are two key themes in the book and are at the heart of Vision and Vitality. Over these two days I will be inviting participants to explore the profound questions of why they are here, what change they seek to make for whom and how that translates into a clear direction for the year ahead that leaves us intrinsically motivated to succeed because of the deeper meaning and connection to our work we have fostered. 4. What four key points would you make for anyone wanting to empower their career? Stay connected: to yourself, your own innate wisdom and what matters most, to others, those who support you inspire you and believe in the direction you are headed, and to nature. It holds so much more for us in life and work than many people realise. A close connection to the natural world will provide, inspiration, solace, healing and a sense of place in the world that few other things can provide. Know what you stand for and where your boundaries lie. The ability to say yes to the right things and no to the wrong things is key to empowered living. Knowing what impact you want to make, what you stand for and against and where you are prepared to compromise or not brings a great deal of clarity, especially when the going gets tough. Theart of delivering the empowered ‘no’ is something I spend a fair few pages on in the book as I think it’s a skill that many people struggle with but that we can all benefit from. Remember you always have a choice. This really is the essence of being empowered. Whatever your circumstances, the knowledge that you have a choice and can create options for yourself is often the difference that makes the difference. Things are rarely set in stone, and even when it feels like you are between a rock and a hard place there is often a way out with a little creative thinking and an empowered ‘choice-full’ mindset. This goes along with giving yourself the freedom to abandon the plan when you need to, to make mistakes and get it wrong, to shift direction or to adopt an attitude of experimentation. 5. I feel like 2018 was that year where we saw a real movement for women in business, what were your favourite 3 moments from last year and why? Gosh, this is a really good question! Interestingly, I wasn’t looking at the global picture of business much last year. My focus was on my clients and their journeys, environmental issues and my family. The moments that were my favourites are actually the smaller ones. 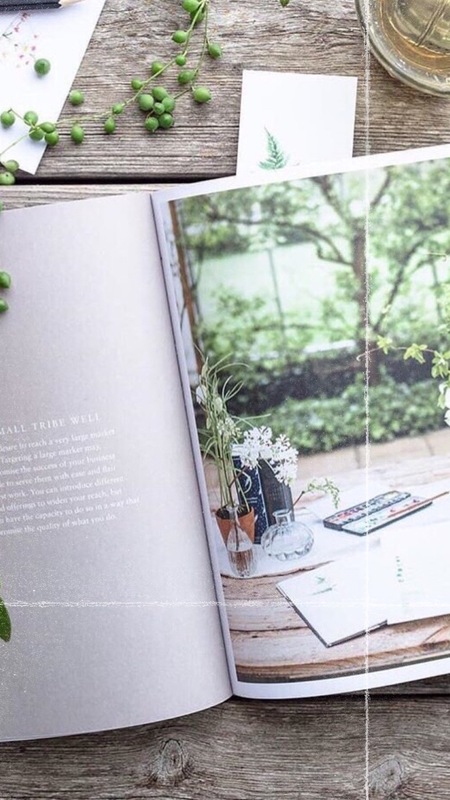 The breakthroughs my clients had when they really hit on their purpose or direction for that time in their life, my daughter finally getting the hang of reading and watching her snuggled up on the sofa reading to her little brother, seeing a barn owl had set up home in our oak tree. The smaller moments are woven together into the tapestry of life and sometimes the threads aren’t all perfect or beautiful, but if we only place our attention on the big wins or the major events then we miss most of what holds life together. 6. I think ‘women in business’ is a powerful phrase for 2019, in terms of empowerment, what would you like to see more of this year? It’s so interesting, I hear where you’re coming from with women in business and I’m glad that women everywhere are finding their ground and standing in their power. I have always felt a little uncomfortable about the implied division of phrases that single out women. I see the only sustainable way forward is in strong collaboration between men and women. Finding a way for all of us to pull together and solve the problems of society and the various crisis we currently face is vital. That said, there has for too long been disparity and the women in business movement is a powerful way of addressing it. When I think about it what I would like to see more of does actually stem from a very feminine, heart-centred, approach to life. I would like to see more people discovering and doing the work that they love in whatever form that takes and being brave enough to think creatively about how that shows up in their lives. I would like to see more of us, myself in particular, stepping up to our responsibility for the planet and remembering our profound symbiotic connection to the natural world. I would like to see a more authentic connection and less shaming and victimising of those who use their voice to share their struggle or to stand up for what they believe is right. I would like to see us all slow down a little and make more time for small acts of compassion, friendship and inspiration. If you’re starting out in business there’s so much advice out there so for it’s vital to hone and trust your instincts and be brave enough to follow your own heart. The art of discernment and gaining confidence in knowing the way forward is a big part of the chapter called STAYING TRUE. This part of the book focuses on how to maintain our connection towhat’s important and why its key to avoid comparison. Be clear and be authentic. Know very clearly what it is that you uniquely do, what sets you apart and who specifically you serve best. Knowing your niche in the market and how to differentiate your authentic business is so important. In the chapter called THE WORK in the book I invite readers to explore what success looks like for them, what mission they feel compelled to fulfil and what purposeful work might look like and to work with intention. Consider the whole picture. This is a thread that runs right through the book. It’s essential in my view for a thriving business that also enables you as a person to thrive, it needs to be not only commercial out with but sustainable. It needs to fit within the framework of your wider life,of businesshonour your core values and enable you to fulfil what’s most important to you. If you want your business venture to earn you money make sure your offering is commercial, sustainable and brilliant. If you have a naff product or service it won’t sell or not for long anyway, if you have to work a 70+ hour week to make it work it’s not going to last long before you burn out, and if it’s not priced right it will be tricky to market. 8. I’m a massive believer in positivity and that our success is determined by our own mindset, however, I completely understand where people are coming from with procrastination. What’s one of your top tips on overcoming any unhelpful thought process? Procrastination is such a juicy topic, isn’t it? One of my faves, hence there is such a lot about it in the book. As a coach, it’s actually one of the things I look for that tell me someone is on track with their purpose. Not just procrastination but more specifically what Steven Pressfield calls resistance. Resistance is something we can encounter when we are just about to do something that takes us to the next level or towards our higher purpose so firstly, I don’t think it’s a bad thing in and of itself. It can be a really useful signpost. But I’m with you that quite often it’s our thinking that can get in the way of us getting where we want to go. There are so many routes to overcoming any unhelpful thought process, you might try this as a process. Firstly, notice the thought (so often they are churning away in the unconscious and affecting our behaviour under the radar). Journaling can be a really helpful tool for seeing our thoughts more clearly on the page. Name the thought for what it is. For example, ‘I can’t do that, it will never work’ you could name ‘fear’ (of failure) I’m not good enough you might name ‘doubt’ or again ‘fear’. Naming it helps us to see the underlying motivations behind the thought and how our unconscious mind is trying to help us with the thinking – even if it’s not doing a particularly efficient job usually limiting beliefs or unhelpful thinking are trying to keep us safe in some way. Turn towards it Rather than immediately trying to ignore it, reframe it or replace it with a positive, turn towards it like you would a friend. With a healthy dose of self-compassion acknowledge that you are doing the best you can, that this unhelpful thought is just trying to protect you from something and let yourself off the hook. Take action. Any action however small in the direction you want to go, regardless of the thought in place. The more action you take the more evidence you have for the thought not being true and the less it gets in the way. After a while, you may notice that your behaviour has changed but you’re still telling yourself an old story at some point it’s worth checking in to update the narrative so you don’t pull yourself back into old habits. 9. Can we look forward to anything exciting from you in 2019? Oooh, I hope so, not all my plans are fixed yet as I tend to do a lot of my visioning and planning in the early spring. I have my retreats and I’ll run another brand foundations for yoga teachers workshop sometime before the summer. Fiona Humbertone and I are toying with the idea of doing an online course together although that may be a way off. 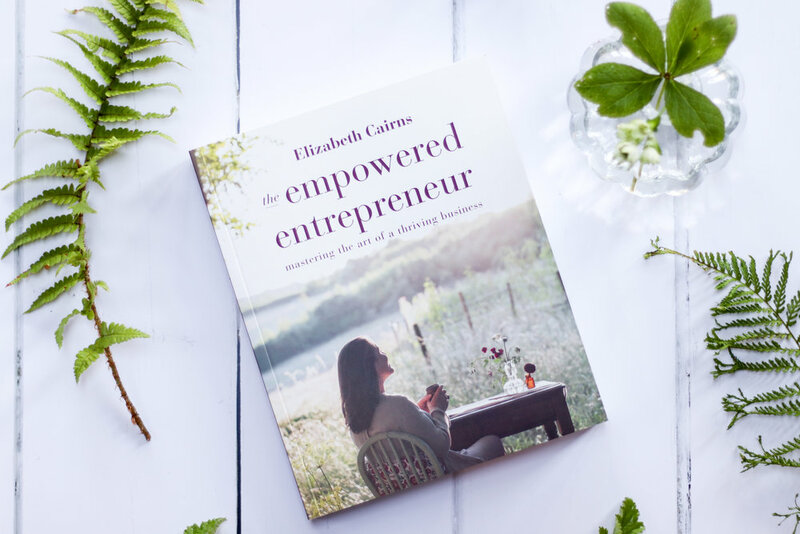 I’m am planning an Empowered Entrepreneur book event sometime in May which I know will be a lot of fun and be a great opportunity to get some wonderful empowered entrepreneurs in a room together. Other than that, I’m just excited to see what unfolds, it’s already shaping up to be a great year so I’m looking forward to it.